Spontaneously launching a live broadcast without any warning isn’t exactly the best way to ensure you’ll be entertaining a large enough audience to make the effort worthwhile. In the days leading up to the broadcast, you should be promoting the exact date and time of the event so that interested viewers will know when to tune in. Many marketers believe this preliminary stage to be the most important, and this is where having a strong following and extensive network will pay off. Once you’ve spread the word about your broadcast and have received enough feedback/reactions (i.e – likes) to feel confident that there will at least be a core group of viewers tuning in, you should prepare a list of people who you’ll tag during the broadcast. You can have another person handling the tagging, messaging, and sharing tasks while you’re doing the speaking if it helps you stay focused. Building a list of people who you’ll tag during the broadcast will help to draw attention to the stream while it is in action after you’ve already built the pre-launch hype. 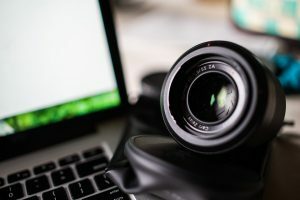 Unless the viewer has their videos set to auto-play, chances are they’re going to see the speaker’s face and the background of the video before clicking play. On the live stream, obviously, having an interesting background and/or speaker will certainly help to increase clicks that happen out of sheer curiosity., but perhaps more important is the use of an eye-grabbing headline. Consider using controversy, trending topics, suspense, and any other tactic that will result in the development of an irresistibly clickable headline. Effective headline creation is a science and an area of expertise that every self-professed marketer should research further. Preparing a general script outline will help you get through the broadcast without stumbling over your own words. If you plan on being on the air for more than a few minutes, you should at least spend a little while reviewing how you’re going to approach the topic or advertisement. At the same time, try to avoid reading from a teleprompter or sticking to an exact script, as that approach will only serve to make the show boring and robotic. You can promote viewer engagement and interaction by inviting people to ask questions in the comment section below the video and then answering them immediately within the live broadcast. You might also want to have other social media personalities appear as guests on your live streams in order to double your audience through a mutually beneficial joint venture that won’t take much additional effort on your behalf.